Red Lists are very valuable tools in nature conservation at global, continental and (sub-) national scales. In an attempt to prioritise conservation actions for European butterflies, we compiled a database with species lists and Red Lists of all European countries, including the Macaronesian archipelagos (Azores, Madeira and Canary Islands). In total, we compiled national species lists for 42 countries and national Red Lists for 34 of these. The most species-rich countries in Europe are Italy, Russia and France with more than 250 species each. Endemic species are mainly found on the Macaronesian archipelagos and on the Mediterranean islands. By attributing numerical values proportionate to the threat statuses in the different national Red List categories, we calculated a mean Red List value for every country (cRLV) and a weighted Red List value for every species (wsRLV) using the square root of the country’s area as a weighting factor. Countries with the highest cRLV were industrialised (NW) European countries such as the Netherlands, Belgium, the Czech Republic and Denmark, whereas large Mediterranean countries such as Spain and Italy had the lowest cRLV. 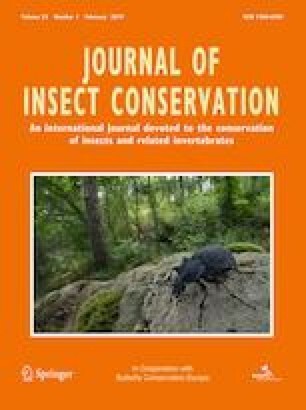 Species for which a Red List assessment was available in at least two European countries and with a relatively high wsRLV (≥ 50) are Colias myrmidone, Pseudochazara orestes, Tomares nogelii, Colias chrysotheme and Coenonympha oedippus. We compared these wsRLVs with the species statuses on the European Red List to identify possible mismatches. We discuss how this complementary method can help to prioritise butterfly conservation on the continental and/or the (sub-)national scale. We would like to thank all volunteers in the different European countries for their help in the compilation of national species check lists. Hans Van Calster was very helpful with statistical analyses. Marc Pollet and two reviewers gave very useful comments on a previous version of the manuscript. Peter Desmet is kindly thanked for his help with the open data publishing.